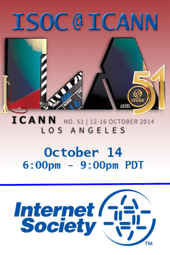 There were two Internet Society meetings in conjunction with ICANN45 in Toronto. All live events have to be captioned in real time – deaf/hoh people are not to be left out from discussions. Tim Berners Lee created the Internet to include all users with disabilities. Thanks! I believe these events did use a CART service. I am not sure what happened to the transcripts. There were two Internet Society meetings in conjunction with ICANN44 in Prague. There was an At-Large Improvement Plan meeting at 5am today – I was unable to attend.